This guide on how to grow baking pumpkins includes how to plant, care for, and harvest baking pumpkins. When we talk about baking pumpkins, we are talking about the small, often softball size pumpkins also called pie pumpkins or sugar pumpkins. These baking pumpkins are given the name due to the fact that they are most often used in pumpkin puree, pumpkin pie, and other baked pumpkin treats. If you have ever been curious about growing your own, look below at some helpful tips on how to grow baking pumpkins. 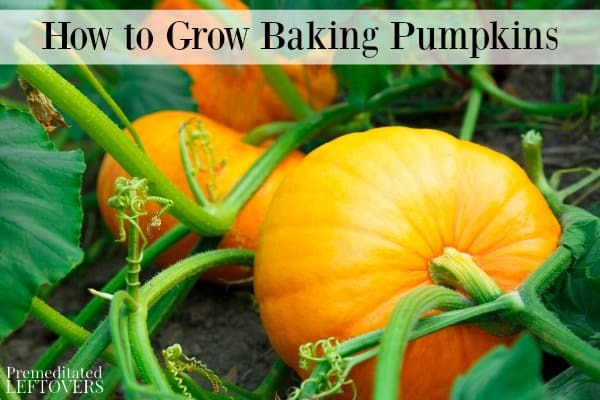 Not only are they simple to grow, but baking pumpkins require less room than you might think. 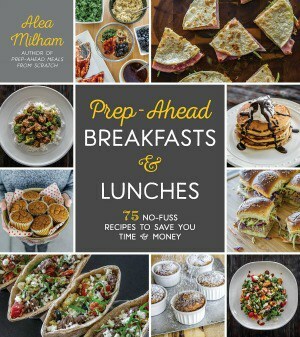 Here is how to get started. If you have a short growing season, growing your baking pumpkins from seed may be a good idea since you can start the seedlings indoors. This said, if you have a short growing season, opt for starting indoors while frost is still present instead of planting them outside. 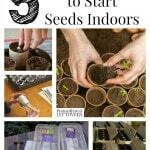 Here is how to start them from seed. 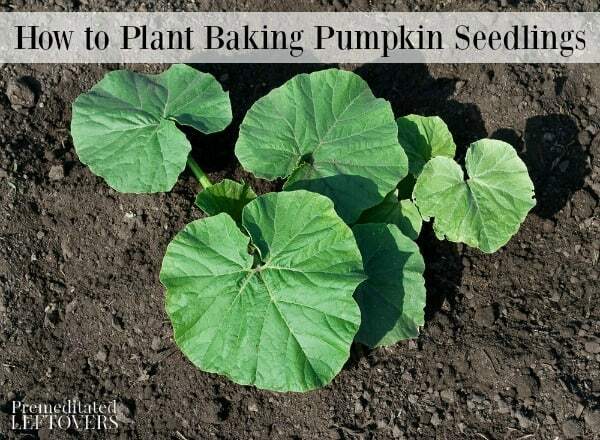 Sow your pumpkin seeds in warm and nutrient rich soil. You want to be sure the containers you are planting in are spacious, giving each seedling as least 4-5 inches in space. Planting them directly into peat pots may be easiest, this way you can transfer the pots directly into the ground when the time is right. Once seeds are planted, keep the soil moist through regular waterings and don’t allow the soil to dry out or become crumbly. A sunny spot is preferred, and a spot where your seeds will get 6-8 hours of direct sunlight is ideal. 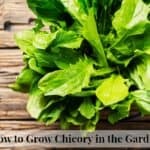 Do you have a long growing season? Then add your pumpkin seeds directly to your garden using the planting system discussed below. Find a space that is full sun, getting at least 6-8 hours of sunlight per day. Nutrient-rich soil is always advised, as is soil that drains well. Once you find this space, create mounds. Your mounds of soil should be about 12 inches apart, a foot wide, and about 4-6 inches tall. Yes, this looks a tad strange, but it will be beneficial to the growth of your baking pumpkins. Drop the seeds or the peat pots into the mounds you created so they are at least 1-2 inches deep into the soil. The mound will create the ideal growing conditions for the plant. Water at least 2 inches of water per week, never allowing the soil to dry out or crumble. A liquid plant food (slow releasing) added one week after planting can help give the baking pumpkins the nutrients they need. Some mulch around the mound can help keep it in place and offer the plants the support they need to comfortably trail down. It can also help keep the soil moist and keep roots warm. Regular weeding will help keep the plants healthy and prevent a cut off of nutrients. Pumpkins don’t like to be chilly. Should you get an overnight frost or dropping temperatures, it may be smart to cover them with tarp or fabric to help keep the chill from them. Pumpkins get very hungry. 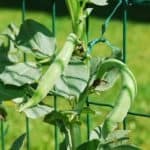 Keep them away from other plants they may steal nutrients from. If working with a small space, keep them to the corner or edge of the garden instead of planting them directly in the middle. Most baking pumpkins are ready for harvesting in late summer, early fall. They will be the size of a softball or slightly larger. The color of baking pumpkin will be rich orange, however, heirloom varieties may have shades of yellow or green in them. The skin should give slightly when pressed. The baking pumpkin will have a feel of heaviness to it. To harvest your baking pumpkins, cut them carefully at the stem leaving at least 1 inch of the stem intact. This way, the pumpkin has something to feed off of to retain freshness until you are ready to use it. Baking pumpkins should be stored in a cool place until you are ready to cook with them. 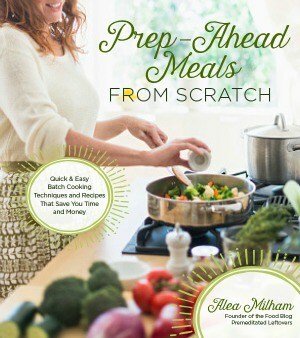 Then, your only dilemma will be what to make with it! Here is how to make pumpkin puree to use your pumpkins in delicious baked goods. As you can see, growing your own baking pumpkins can be an enjoyable experience. Give these tips on how to grow baking pumpkins a try. I only have a small plot of ground and a confined space but I grow what I can in season.